The Independent Newspapers – York Musical named Best Production for 2018 by IHSMTA. Performers Kanzler, Lee honored for their roles in Tuck Everlasting. York Musical named Best Production for 2018 by IHSMTA. Performers Kanzler, Lee honored for their roles in Tuck Everlasting. 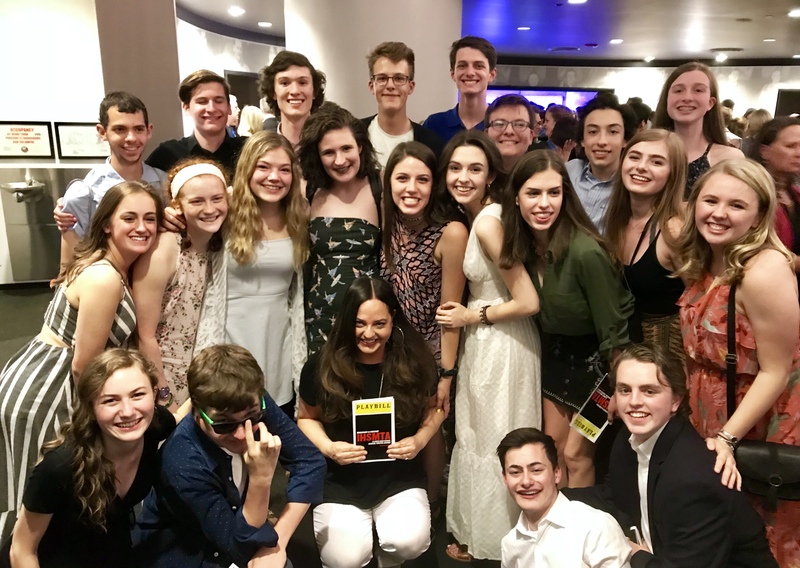 For the second year in a row, York High School earned the top honor at the Illinois High School Musical Theatre Awards (IHSMTA) at the Broadway Playhouse on June 4. Tuck Everlasting was honored as Best Production in the state of Illinois. Along with Best Production, Carina Kanzler (who played Mae Tuck) and Erin Lee (who performed as Winnie) were honored for their roles in Tuck Everlasting and given the chance to work with the dance captain from Chicago’s cast of Hamilton. Carina will be pursuing musical theatre at New York University next year. Erin will be a senior at York High School. In addition, Rebecca Marianetti, Theater Director at York, was named IHSMTA Best Director for 2018. This is the second year in a row that a York production was so honored. Under Marianetti’s direction, the York production of West Side Story won Best Production in 2017. Carina Kanzler was a State finalist last year for her role as Maria. IHSMTA categories include Best Actor, Best Actress, Best Scenic Design of a Musical, Best Direction of a Musical, and Best Overall Production. Five high school productions are named finalists.